The DreamHack Masters CS:GO tournament in Las Vegas came to an exciting conclusion last weekend, which saw Virtus.pro defeat SK Gaming 2-1 in a nail-biting final. League of Legends’ LCS continues to dominate the headlines, but there’s plenty of action to be had elsewhere. There’s drama from the Dota 2: StarLadder i-League to the Hearthstone: Asia-Pacific Winter Playoffs. We even have the Smite SPL to look forward to. All the details on this weekend’s events can be found below. In week five of the EU LCS we saw the leaders of both group A and B, G2 Esports and Unicorns of Love face off against each other. G2 took both games after they starved UoL of objectives and gold in the first game, while the second game was won thanks to Zven’s quadra kill in the mid-lane. Meanwhile, Splyce has improved tremendously and Kobbe’s Jhin managed to secure the team’s victory against Fnatic going 8/1/9. The competition is heating up and Misfits are still looking to rival G2 for first place. This week’s schedule and stream can be found over on LoL Esports. Team SoloMid have had another great week and their early game has improved considerably since the start of the LCS. In the third game in their series against Cloud9, Bjergsen’s Zed and Hauntzer’s Shen showed excellent control and synergy, which gave TSM an early advantage that allowed them to apply pressure all over the map. FlyQuest suffered an unexpected defeat against Dignitas when Hai picked Jarvan mid, while Team Liquid followed their same pattern of winning one game and losing the next two. Team Liquid may have been defeated by Counter Logic gaming, but they still have a chance to show improvements as we head into week six. The full schedule and stream can be found over on LoL Esports. The Dota 2 StarLadder i-League is kicking off this weekend and only the best teams will advance to the playoffs. The finals of the upper part of group А's bracket, OG faced off against Team Secret. In the first game both teams were extremely close but, OG began to snowball a lead and won more team fights. The second round of the series followed a similar pattern and OG took complete control once again. You can check out the full schedule here, while the stream can be watched over on Twitch. Last weekend the Americas branch of the Hearthstone Championship determined which four players (DrJikininki, DocPwn, Tarei and Fr0zen) will be competing at the Hearthstone Winter Championship in the Bahamas. This weekend we’ll see which players have what it takes to represent Asia and be crowned the HCT Asia-Pacific Winter Champion. The matches kick off today at 18:00 PST / 03:00 CET, and continue the same time Sunday. You can find the weekend’s schedule and official stream here. 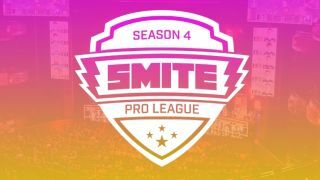 The second week of the SPL will continue this Saturday where Elevate and NRG eSports will clash. Obey Alliance delivered a shocking blow to NRG when they beat them 2-0, but NRG will be hoping to put this loss behind them and beat Elevate this weekend. The last time NRG lost a set was to Paradigm at the Super Regionals in 2015, so the upcoming clash will certainly be interesting and could go either way. Make sure you tune into action at 10:00 PST / 19:00 CET. You can find the weekend’s schedule and official stream here.